In the summertime, when we are all blessedly swimming in fresh tomatoes, whether homegrown or from the farmers market, we eat our fair share of tomato sandwiches, salads, and the like. But what else can you do with fresh-off-the-vine tomatoes? This year, we have something new to do with those gorgeous, juicy orbs. It’s my simple pasta alla checca. Checca is a sauce that doesn’t have to be cooked, can you believe it? No heavy, cooked meat sauce here. This is something completely different. Simply grab some tomatoes, fresh basil, and garlic and do a little chopping. The only thing that needs to be cooked is your pasta. Talk about a quick summertime meal! When you’re ready to serve, add a bit of salt and fresh cracked black pepper to your veggies, to taste. 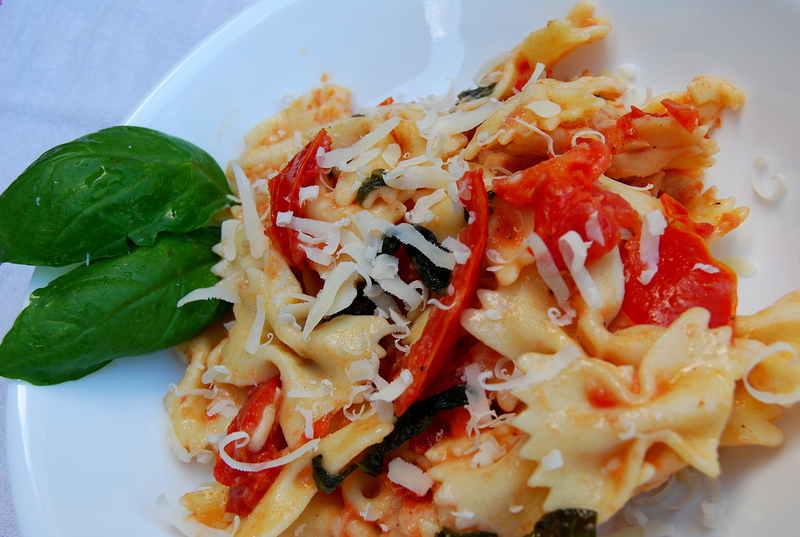 Place some pasta in a bowl, then top with a scoop of the checca sauce, then a generous sprinkling of Parmesan cheese. If you’d like, serve with grilled shrimp or chicken on the side. Or, if you prefer, you can drop some fresh, soft mozzarella cubes into the pasta mix before serving for added protein and flavor. Leftovers that you might have should be refrigerated. I like to warm it slightly in the microwave before eating the delicious leftovers to wake the flavors up again. The basil flavor is incredible after it sets! 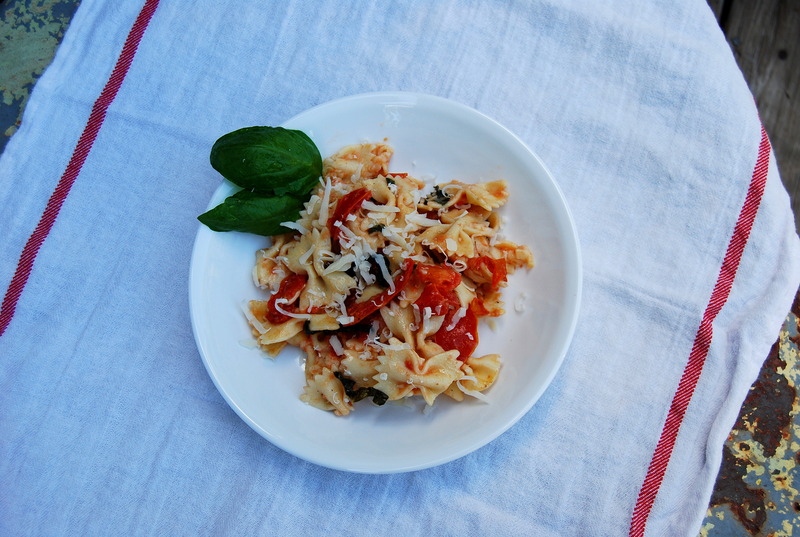 I consider this the perfect recipe for summer meals; use your fresh basil and local tomatoes to make it just right. Enjoy!